Orion comes from a desire to reinvent the Raden's know-how. 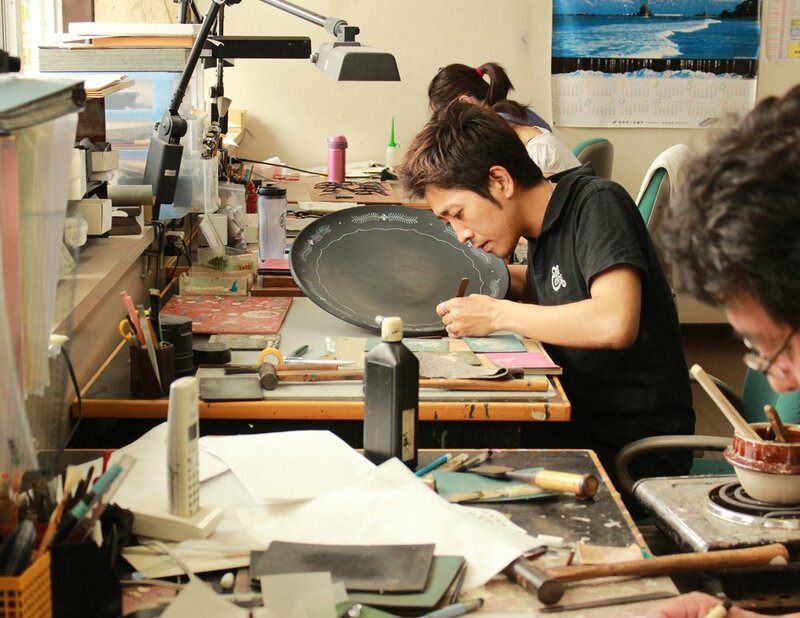 Known as one of the major arts in Japan, we wanted to bring another dimension to this particularly decorative mother-of-pearl inlay technique by including it in a product that could be part of our daily lives. 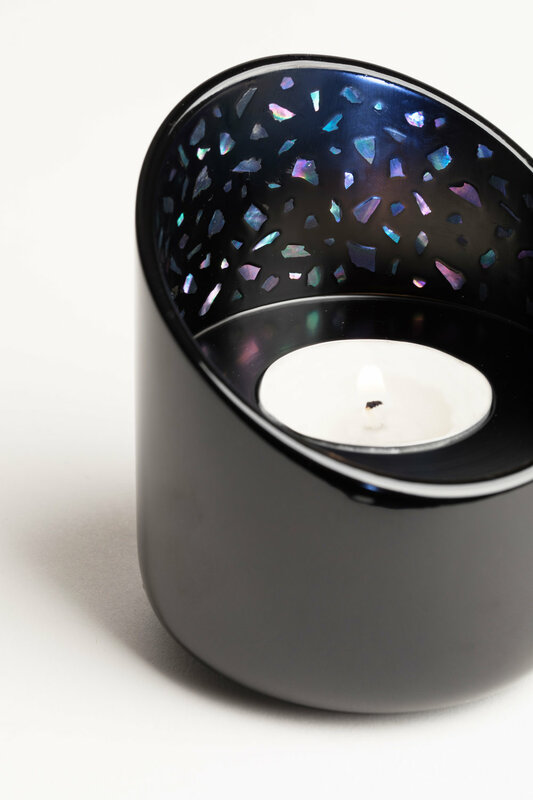 Made of wood and Urushi (lacquer), it is once lit that this candle holders with simple shapes takes advantage of the reflectiveness and subtleties of the mother-of-pearl fragments placed in its alcove. Delays: Each product is handcrafted by our craftsmen per order or in very small series. The production time is currently estimated between 2 and 3 months. 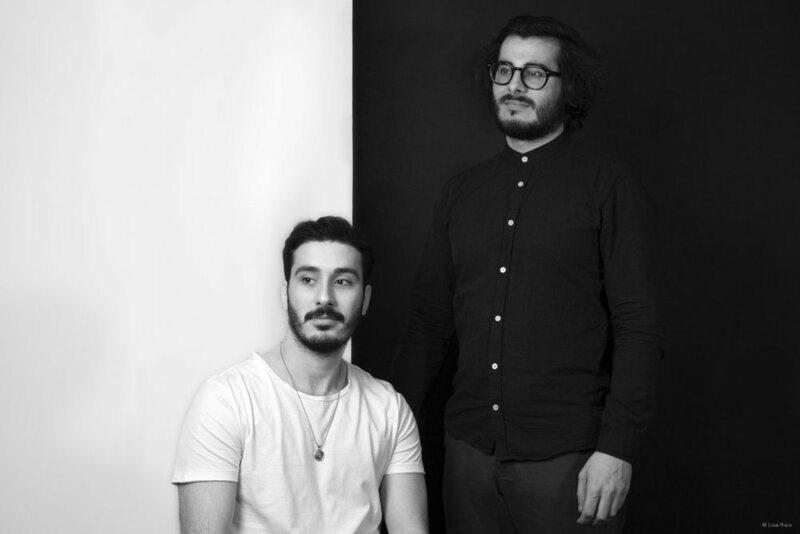 VoisinGuillemin is a young design studio rewarded serval times for their vision. Their attention to detail, and their will to work with quality materials through a sober design is felt in each of their design.